The information on this website is for educational purposes only and it not intended to replace or supersede advice from medical or legal professionals. All rights reserved. In addition to the magazine’s bi-monthly publication, which is available as a FREE download six times per year, the Autism File’s team of editors and writers provide a weekly update focusing on relevant topics including nutrition, biomedical treatments, sensory issues, advocacy, and safety. Mothering.com is the largest online destination for parents interested in exploring natural and eco-conscious living — including birth and medical choice, breastfeeding, attachment parenting, gentle discipline, educational alternatives, healthy eating and green products. Pathways is a quarterly print and digital magazine whose non-profit mission is to support families’ quest for wellness. Autism Media Channel Foundation has a mission to provide educational videos in the field of autism and to provide support and much needed guidance in all areas including causation, medical, educational, nutritional and vitally important, the future. Hear This Well: As a response to CNN Senior Medical Correspondent Elizabeth Cohen’s assertion that vaccines don’t cause autism, mothers, father, grandmothers, grandfathers, children, siblings, etc. recorded videos telling their stories about how vaccines did cause autism. Bought: Your food, your health, your family’s health has been Bought. FINALLY… a movie taking on Big Pharma, Vaccines and GMOs. Exposing the truth each of us deserves to know! The Greater Good is an award winning character-driven documentary that explores the cultural intersections where parenting meets modern medicine and individual rights collide with politics. THE GREATER GOOD weaves together the stories of families whose lives have been forever changed by vaccination. Trace Amounts is the true story of Eric Gladen’s painful journey through mercury poisoning that he believes resulted from a Thimerosol-loaded tetanus shot. His discoveries led him on a quest for the scientific truth about the role of mercury poisoning in the Autism epidemic. The Center for Autism and Related Disorders (CARD) is one of the world’s largest organizations using applied behavior analysis (ABA) in the treatment of autism spectrum disorder. At CARD, we truly believe that recovery is possible and we develop our programs with that in mind. Website. National Autism Association: The mission of the National Autism Association is to respond to the most urgent needs of the autism community, providing real help and hope so that all affected can reach their full potential. Since 2003, the National Autism Association has created and implemented direct-assistance programs for the growing number of families affected by autism. Website. TACA: For families who have just received the autism diagnosis, TACA aims to speed up the cycle time from the autism diagnosis to effective treatments. TACA helps to strengthen the autism community by connecting families and the professionals who can help them, allowing them to share stories and information to help improve the quality of life for people with autism. Website. The Canary Party: We are a group of citizens who are disturbed by the increasingly failing health of those in our society. Among us are those who have been injured by the medical industry, those with children or loved ones who have been harmed and killed by the medical industry, medical professionals who are upset with what is happening in their field and those who endeavor to preserve human health in spite of increasingly corrupt and failing medical establishment. Website. 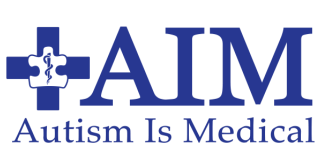 Autism Is Medical serves the growing medical and educational needs of the Autism Community. 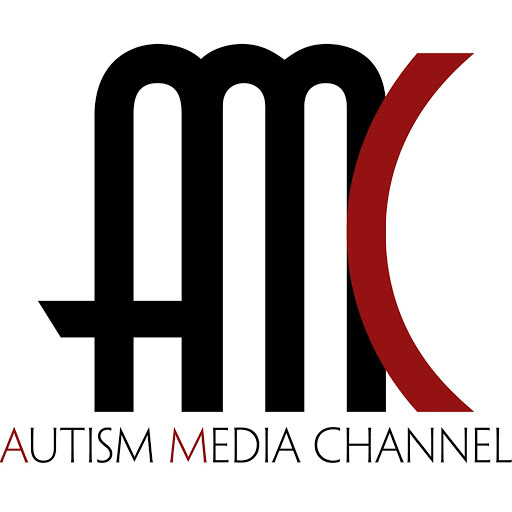 The organization’s mission is to continue efforts focused on educating parents, practitioners, and school personnel on the underlying medical issues that affect children diagnosed with ASD. Website. Treating Autism works to relieve the suffering of people with autism and their families through the provision of information and support services, free of charge, in particular concerning the treatments for autism. Website. The Autism Research Institute (ARI) was established in 1967 by autism pioneer and advocate, Dr. Bernard Rimland. 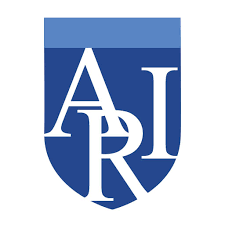 In the 1960s, 70s, and 80s, ARI focused much of its efforts on studying and disseminating information on behavioral therapy and has now expanded its work to include medical and sensory interventions. Website. Natural News covers holistic health, nutritional therapies, consciousness and spirituality, permaculture, organics, animal rights, environmental health, food and super foods, and performance nutrition. Website. 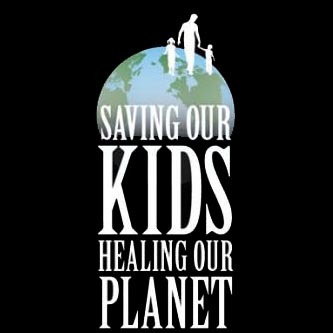 Saving Our Kids, Healing Our Planet (SOKHOP) is at the forefront of a new movement focused on sustainable living practices and safe and effective methods for preventing and recovering our children from ADHD, Autism, Allergies, Asthma, Obesity, and Diabetes etc. Website. Spectrum Revolution is a resource for parents, and all who are affected by autism, to come together and learn about safe, effective treatments, quality supplements, organizations, and programs that members of this ASD community have found helpful in their child’s journey to healing and recovery. Website. The Thinking Moms’ Revolution is made up of twenty-three moms and one brave dad who came together to collaborate about biomedical, alternative healing modalities and dietary interventions, as well as doctors and researchers developing cutting edge treatments for autism spectrum disorder, chronic childhood diseases and disabilities. Website. Autism Action Network is dedicated to advancing public policy issues affecting people with autism and related disorders, protecting their human and civil rights, educating the public and media, and supporting candidates sharing our goals in state and federal elections. Website. The Autism One Conference, Autism One Radio, Autism One Outreach and Autism in Action initiatives educate more than 100,000 families every year about prevention, recovery, safety, and change. Website. Generation Rescue is the leading national organization that provides hope, information and immediate treatment assistance to families affected by autism spectrum disorders.Website. Safe Minds: Our goal is urgent: to end the autism epidemic by advancing environmental research and effective treatments. The autism epidemic can be reversed by accelerating environmental research and demanding reform in public health policies. Website. Age of Autism We are published to give voice to those who believe autism is an environmentally induced illness that it is treatable, and that children can recover. Website. Our financial experts at The Simple Dollar recently published a guide on how to plan and provide for a child with special needs. Financial planning and preparation is essential for ensuring every child gets the help they need, now and for the future. We created a resource that covers the important preparations recommended for every milestone in your child’s life. We have also included a printable milestone checklist. Formed in late 2008, EBCALA provides training, resources and a forum within which to advance legal and advocacy strategies to improve the lives of those with autism. The “fourteen studies’ are being misrepresented by public health officials who are trying to save the current vaccine program, which has ballooned from 10 vaccines in the 1980s to 36 today, a 260% increase. During this same time, autism rates have gone from 1 in 10,000 to 1 in 110, a 9,000%, or 90-fold increase. An informative look at the anti-vaccine movement coming from the point of view of an educated father. Healthy Alternatives to Vaccinations is a podcast which was created due to the lack of credible information regarding holistic health care and the benefits vs. the risks of vaccinations. The Council for Vaccine Safety is a California-based non-profit organization advocating for the improved safety of vaccines. Immunity Education Group is dedicated to providing more balanced and objective information regarding immunizations and infectious diseases while also acknowledging the importance of maintaining informed consent and medical freedom. Devoted to helping others understand why to oppose mandatory vaccination legislation and how to get involved. Welcome to LearnTheRisk.org, a public awareness campaign to educate the public on vaccine ingredients and risks — what your Dr should tell you but doesn’t. We help to form coalitions of individuals and partner with organizations supporting similar initiatives, to be able to speak out with a unified voice against the practices of the food, agriculture, and pharmaceutical industries that infringe on people’s rights to control what they put into their bodies. Diverse and supported by thousands of eager and civic-minded members, we have come together to defend the civil liberties of all Californians by voicing our opposition to medical mandates, including California Senate Bill 277. VacTruth.com was founded in 2009 by Jeffry John Aufderheide. In 2001 his first son, Brandon, was born. Twenty-one vaccines later, his son stopped reaching his developmental milestones. His message and mission is to alert parents to investigate the information for themselves. Vaccine Impact is a part of the Health Impact News network. It is a sub-topic in their “Medicine Watch” category. Lisa Jillani, founder/director, PAVE – To help the public make informed and intelligent decisions about childhood and adult vaccines, offering only educational resources for informed decision-making. Facebook. A source for vaccine educational materials for legislators, doctors, spiritual and religious leaders and other members of the local community. In these instances, the National Vaccine Injury Compensation Program (VICP) may provide financial compensation to individuals who file a petition and are found to have been injured by a VICP-covered vaccine. This website features doctors from a variety of specialties who are speaking publicly about the damage being done to babies, infants, children and adults. We are committed to raising awareness about Vaccine-Injuries which are becoming more prevalent everyday. This page is for STORIES ONLY PLEASE! If you have PERSONAL KNOWLEDGE of a story about a vaccine injury or an experience with a vaccine “preventable” illness, please share it with us. Lawyer dedicated to providing authoritative information on vaccine legal exemptions: state (grade school and college, public and private). Law firm dedicated to helping individuals secure vaccine exemptions, and other vaccine related legal issues. Provides legal assistance in drafting documents to secure vaccine exemptions, and in some cases litigation when appropriate. “The Danger of Excessive Vaccination During Brain Development”, by Russell Blaylock, MD. See other works by Dr Blaylock as well, as in Excitotoxins. “The Vaccine Safety Myth”, by Jameie Deckoff-Jones, MD. “Natural Immunisation”, by Isaac Golden, PhD. The Vaccine Guide: Risks & Benefits for Children and Adults, by Randall Neustaedter OMD 2002. Mirage of Health: Utopias, Progress, and Biological Change by Rene Dubos (New Brunswick: Rutgers University Press) 1987. “Unanswered Questions from the Vaccine Injury Compensation Program ”, Mary Holland et.al, Pace Environmental Law Review, Vol 28, Issue 2, Winter, January 2011. “Predicting post-vaccination autoimmunity: who might be at risk?”, by Alessandro Soriano MD, et.al, 2014. Vaccines and AutoImmunity , by Yehuda Shoenfeld MD et.al., Hoboken: Wiley-Blackwell, 2015. Maglio Christopher & Toale, P.A. helps those people get financial compensation for their vaccine injuries from the NVICP. And we do it at NO COST to our clients. The Vaccination Injury Lawyers at Rawls McNelis + Mitchell helps those who have been injured by a vaccine and may be eligible for compensation through the National Vaccine Injury Compensation Program. Located in Greensboro, N.C., Ward Black Law helps vaccine injury victims throughout the U.S. We can partner with you to apply for compensation from the National Vaccine Injury Compensation Program. Howard Gold has been involved in the Vaccine Injury Program for more than twenty (20) years, assisting individuals and families across the United States. We’ve designed this page for all of the incredible families we’ve met (and have yet to meet) as a tool to share their personal stories. THE GREATER GOOD strives to support empowerment through science-based education assuring the right to an informed choice regarding vaccination. This is primarily a page dedicated to educating people though Q & A and discussions on the dangers of vaccinations. We are a Grassroots Movement formed to protect our individual and families’ rights of denying (the) state sanctioned “benefit” of vaccinations through the California State Legal system. We are a national, transpartisan group of parents, professionals, and activists who work together to promote vaccine choice — prior, free and informed consent to vaccination — as a pivotal health freedom issue. This page Educates mothers & fathers of the dangers of vaccinations. We look at natural solutions to everyday common health issues. This page is to share the side of vaccine education often not provided by doctors or covered in the media so that you can make a truly informed decision. The purpose of the Council is to counter the messages asserted by pharmaceutical companies, the government and medical agencies that vaccines are safe, effective and harmless. We are a growing group of Californian parents, grandparents, doctors, lawyers, teachers, nurses and others who are opposed to medical mandates. We deny there is any “greater good” that supersedes a person’s fundamental right of informed consent. Therefore, we will fight to repeal CA SB 277 and oppose all other vaccine mandates. We are strongly opposed to the passage of SB 277 which would strip our FREEDOM of Conscientious Objection and Religious beliefs to decline even one vaccine for our children. A list of Vaccine-Choice Friendly Doctors. We are a group of professionals who offer a Comprehensive Education & Fellowship to Medical Professionals for the care of children with Autism Spectrum Disorders and related chronic complex conditions. As a public service, IFM provides a list of clinicians who have completed our training. Our goal is to help patients find healthcare professionals familiar with Functional Medicine. At Holistic Pediatrics and Family Care we focus on identifying and treating all the factors that influence health: physical, mental, environmental, and biochemical. The Environmental Health Center is devoted to the health and well being of children, their parents and the general public through a program of education and action designed to identify and eliminate the carcinogens and environmental factors that assault and ravage our lives. The goal of my holistic pediatric practice is to inform, support and empower parents to become the primary health care providers for their children. Dr. Tenpenny is an outspoken advocate for free choice in healthcare, including the right to refuse vaccination. Most importantly, she offers hope through her unique treatments offered at Tenpenny Integrative Medical Center for those who have been vaccine-injured. Our mission is to provide children and families with high-quality, state of the art integrative and ecologically sustainable healthcare. Dr. Suzanne Humphries is a medical doctor, Internist and Board Certified Nephrologist. She is currently in private practice and continues to dispel the mythology surrounding vaccination. 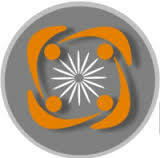 Sound Choice Pharmaceutical Institute (SCPI) is a cutting edge biomedical research organization. Since 1993 we have been involved in the use of genetic engineering to develop therapeutic processes. Providing the most up-to-date natural health information and resources that will most benefit you and expose corporate, government, and mass media hype that diverts you away from what is truly best for your health.